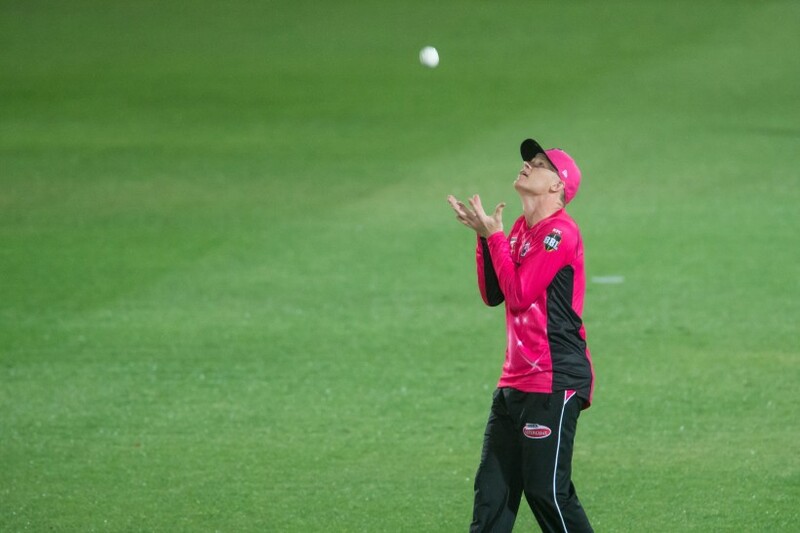 Sam Billings took two catches on his Big Bash League debut for Sixers as they beat Thunder in the Sydney derby. After winning the toss and choosing to field, the Sixers restricted Thunder to 159 for eight as regular wickets in the middle overs slowed the scoring. Billings held a tough chance diving forward at mid-wicket to remove top scorer Ryan Gibson before claiming a catch at long-off to dismiss Pat Cummins for 30. Former Kent paceman Doug Bollinger claimed 2/33 before the Sixers chased 160 to win with two overs to spare as skipper Moises Henriques scored an unbeaten 76 in a 115-run stand with opener Dan Hughes (54). Next up, Sixers play Hobart Hurricanes on Friday (23 December) at the Sydney Cricket Ground with live coverage on BT Sport from 7am GMT. Hurricanes have signed England seamer Stuart Broad. The only way to secure your seat today is with a Kent Cricket Membership or Six Pack Package atwww.kentcricketshop.co.uk–available at Early Bird prices until 31 December 2016.